Black Cat: Bow ties are Cool. Burlesque is Cool. The modern remix culture that we live in means that we’re constantly seeing cultural appropriation in new and different ways as our city cultural nexus aligns in new and unexpected ways. My friend Brittany, constantly on the look for the cool, sent me this yesterday, as she knows that I’m a huge Doctor Who fan. 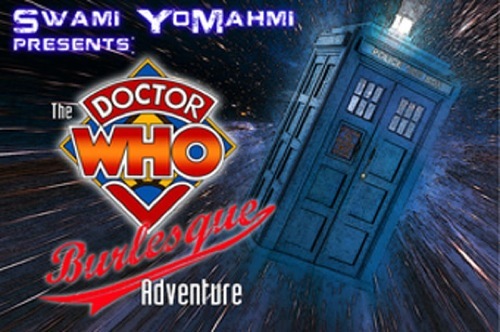 Next Friday, the Black Cat is playing host to Swami YoMahmi‘s Doctor Who Burlesque Adventure. There are two showings next Friday (8:30 & 11) and tickets will run you just $10 ahead of time and $12 at the door. Whovian attire is suggested, but not required. I’m sure, by the by, that there will be one dance done in just Tom Baker’s scarf. See you there, nerdy friends.